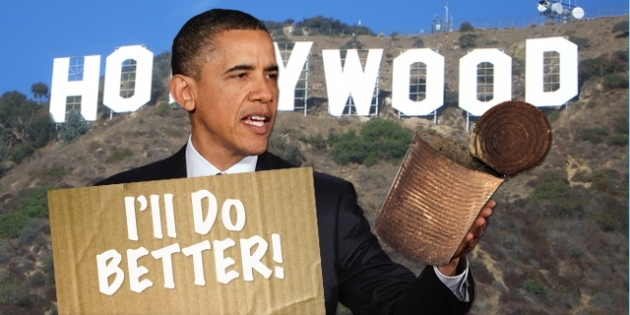 As you might expect, all the liberals in Hollywood are in the bag for Obama and his Iran sellout. And of course the 98 who signed a letter in support of Hussein Obama's Iran sellout insisted on portraying themselves as Jews as if Israel necessarily matters to them. But there's one courageous voice in Hollywood. It's Gerald Molen, the producer of Schindler's List. A producer of the film “Schnidler’s List,” Gerald Molen, criticized an open letter signed by nearly 100 prominent Los Angeles Jews supporting the recent accord on Iran’s nuclear program. Molen, who won an Academy Award for the 1993 film about the Holocaust, wrote an email opposing the agreement to LAJewishLeadersForIranDeal@gmail.com, the email account set up by the letter’s signatories, The Hollywood Reporter reported Friday. Molen wrote that Iran is not a trustworthy negotiating partner, and that the agreement will allow it to obtain nuclear weapons down the line. Molen also expressed concern that Iran will use money received in the deal to finance terrorism against Israel. Molen, a critic of President Obama, also produced “2016: Obama’s America,” an anti-Obama documentary written and directed by conservative activist Dinesh D’Souza. Interesting that one of the 98 signers of the letter was Frank Gehry. At least until he resigned. One would have thought that experience would have raised his sensitivities to anti-Semitism.